This is a long overdue update on the Rails West layout. My layout continues to evolve. My fondness for different railroads has always been problematic from a layout planning standpoint. This over-inclusive fondness in reality leads to some creativity, variety, interest and dysfunction. 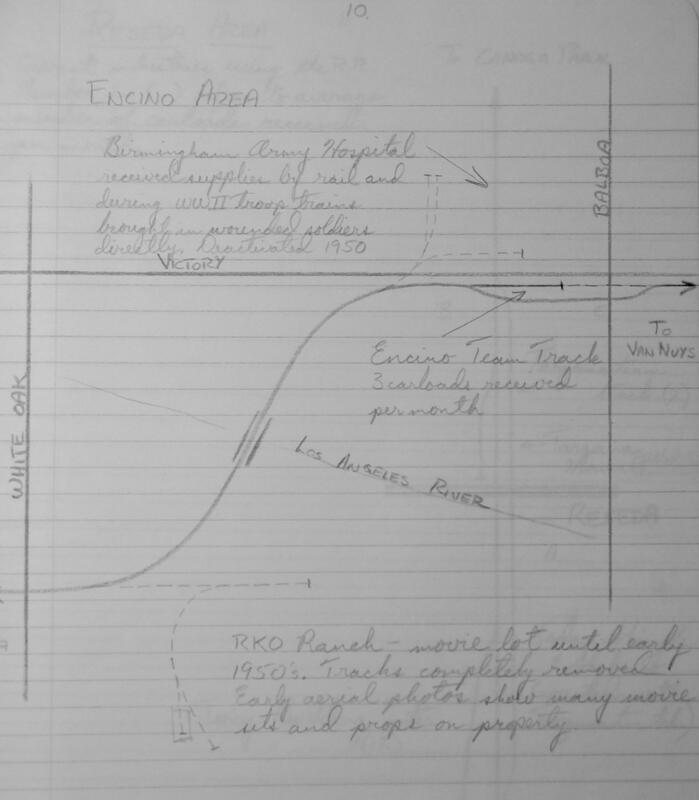 In my most recent update, I had planned to evolve from the originally- planned “ATSF in Roswell, NM in the early 1990s layout” to the “SP-DRGW merger era in the mid-to-late 1990s.” Shortly thereafter, I decided to start digitizing the slides I took in my late teens. Might have been a mistake. 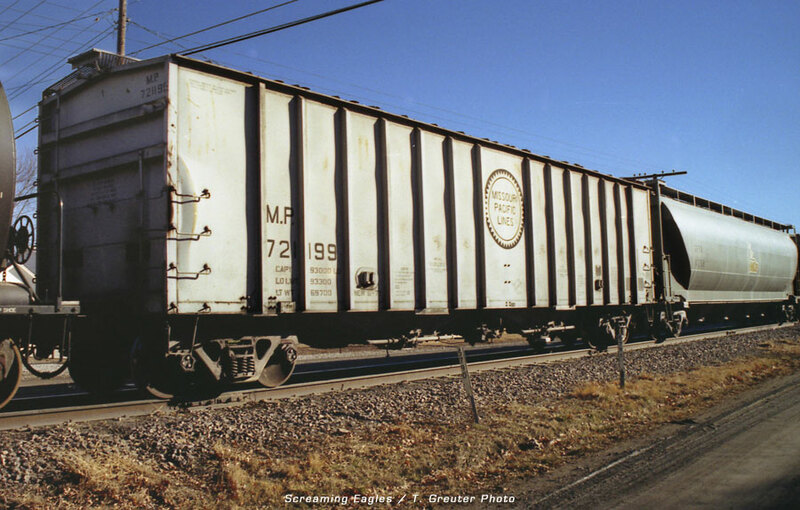 Since then (for about nine months straight), I have been fixated on the era of those slides (late-1970s to the early-1980s)–all the railroads I loved were in business, lots of variety, no tagging, first generation diesels, attractive billboard paint schemes, cabooses, F units, all in all, just a richer version of railroads than I see today or before that for that matter. That seed has grown and caused yet another evolution of the layout. I will likely be sharing more details in the future, track plan, industries and introducing my operating scheme that has led to seeing my layout more as almost a theatrical stage than a traditional layout. More on that later. But what I wanted to share in this post is my first real operating session (of sorts) simplified as it may be. I was very happy that there were no stalls and the layout performed very nicely. The above image shows my local coming into town. I will let the captions largely narrate the session. The local proceeds past the piggyback ramp toward the next drop off — the team track. Spotting the new loads onto the team track–a load of lumber and a load of fresh produce for a grocery distributor. 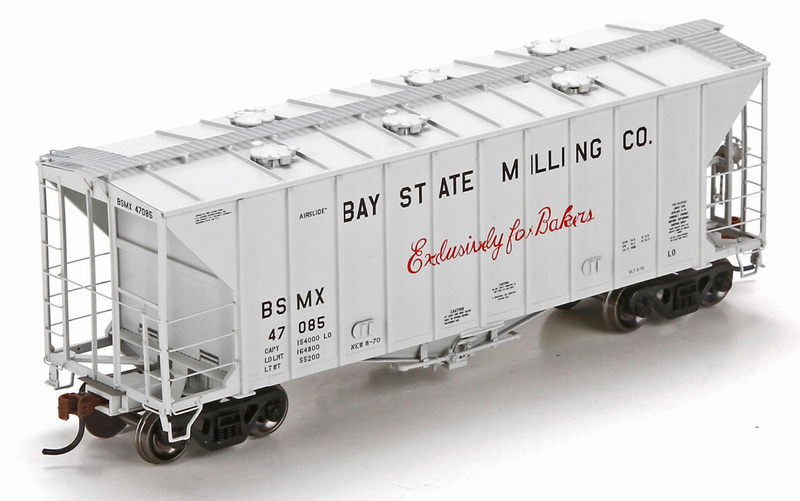 The BN and NP boxcars are empty and will be pulled. With the new loads spotted on the teamtrack, the crew positions the empties destined for the mine. With the loads from the mine pulled, it is time to spot the DRGW empties. The BN and DRGW have an arrangement to share empties at the moment since the loads will be routed for a portion of their route on the Rio Grande. The crews backs down the line to put the caboose back in the consist but to also shove the empty DRGW 2-Bays onto the mine lead. With the empties spotted, it is time to head back to the yard. Easing past to team track. Jim from the grocery distributor waves as he checks out the paperwork. Cruising past the piggyback ramp. Still no movement on the trailers the crew spotted yesterday. Way more to come. The layout is in its infancy, but I wanted to share the first operating session. Merry Christmas from Rails West! 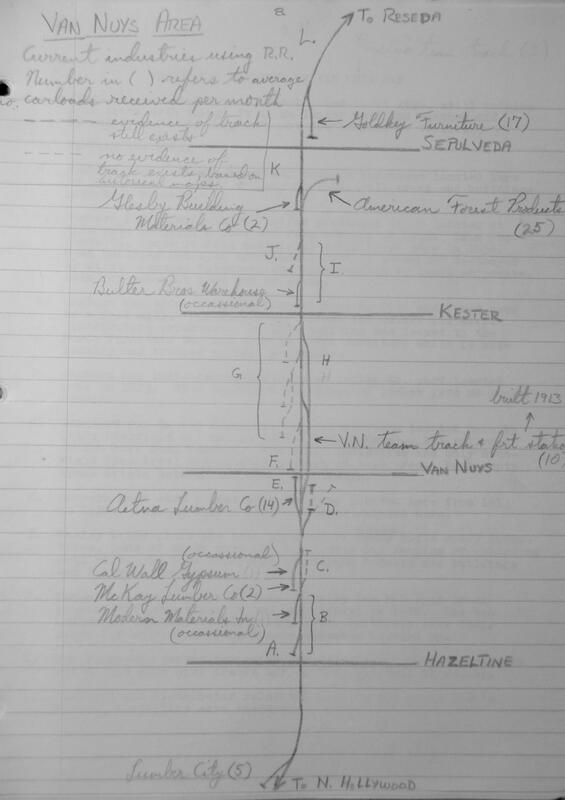 Recently, my friend B. Smith shared with us his excellent research on the San Fernando Branch in CA. (There will be another post in future with some additional photos!) 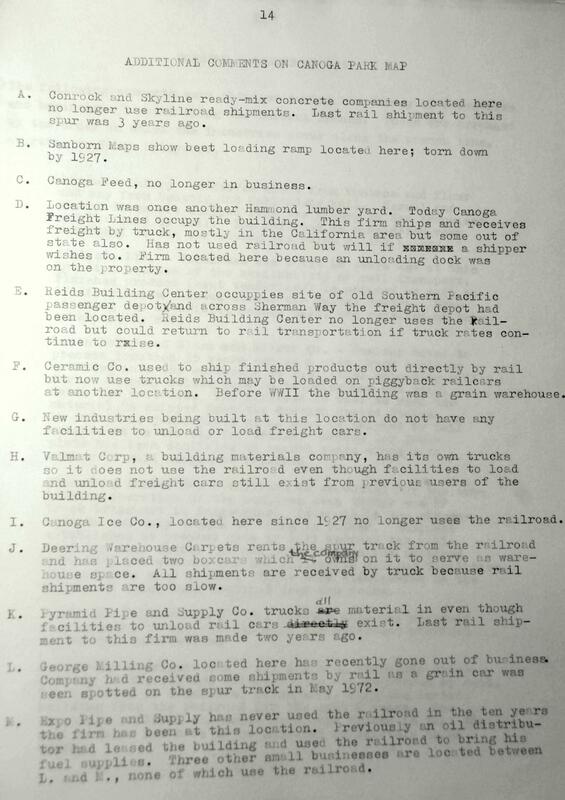 from that post, the below item caught my eye in that in 1972, Christmas trees were still being delivered by rail. Omaha, Neb., November 17, 2006 – Christmas trees are again on their way to households in California, and Union Pacific is helping move them. The season’s first rail shipment of fresh Christmas trees arrived Wednesday afternoon in Los Angeles on board a UP train from Portland, Ore.
Over the coming days, Union Pacific expects to transport nearly 725,000 Christmas trees to California in more than 1,000 containers or over-the-road trailers. 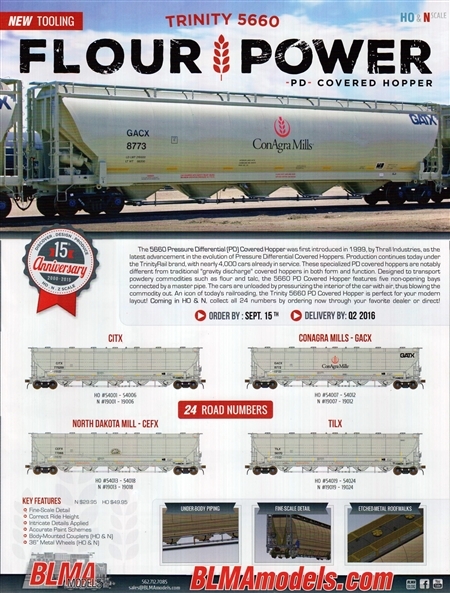 The majority of the containers are bound for Los Angeles; the remaining will ship to Lathrop in Northern California. 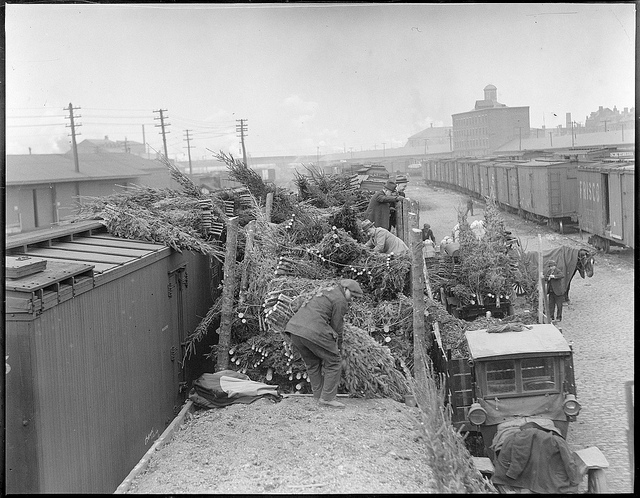 Historically, the railroad moved Christmas trees in boxcars that were unloaded at various locations by a wide variety of vendors. 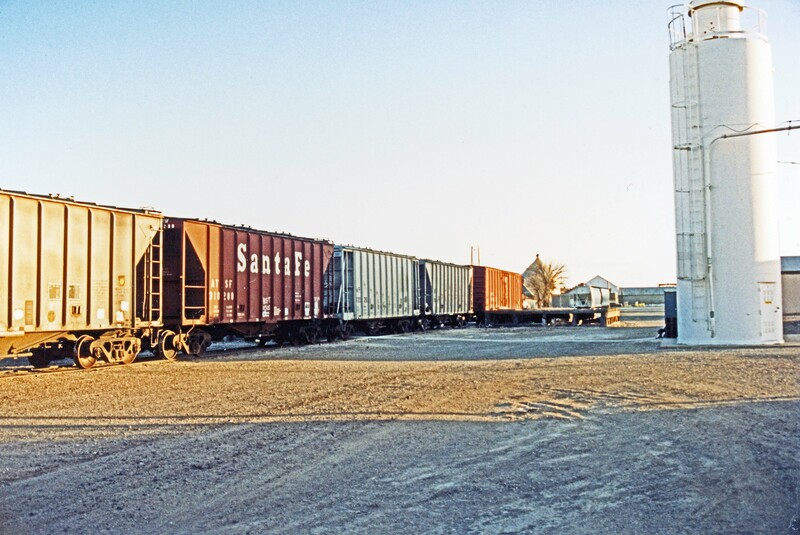 In 1988, Union Pacific began moving the trees in intermodal containers and over-the-road trailers. Since then, the railroad has transported more than 9,600 containers and trailers loaded with more than 6.5 million Christmas trees from the Pacific Northwest. 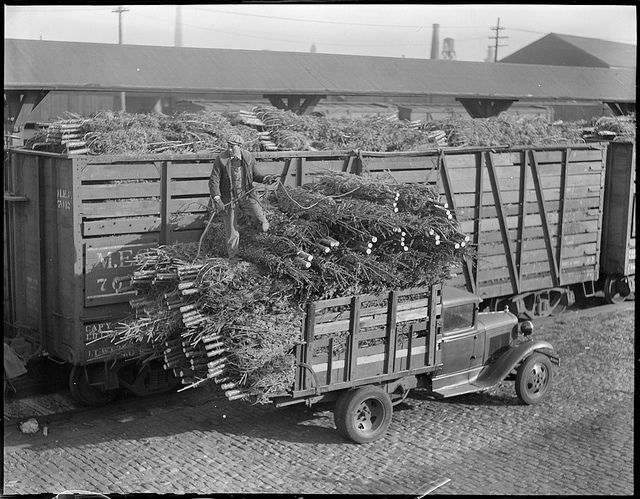 A container on an over-the-road truck chassis is loaded with Christmas trees at a tree farm. 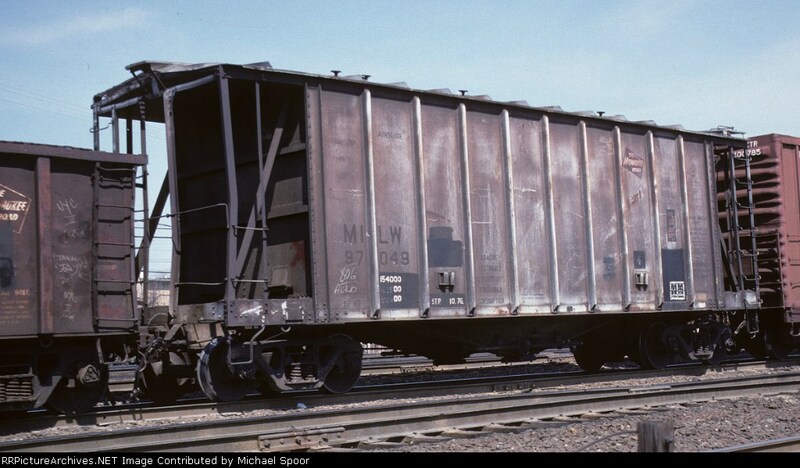 The loaded container is driven by truck to the rail yard in Portland and placed on a railroad flat car. 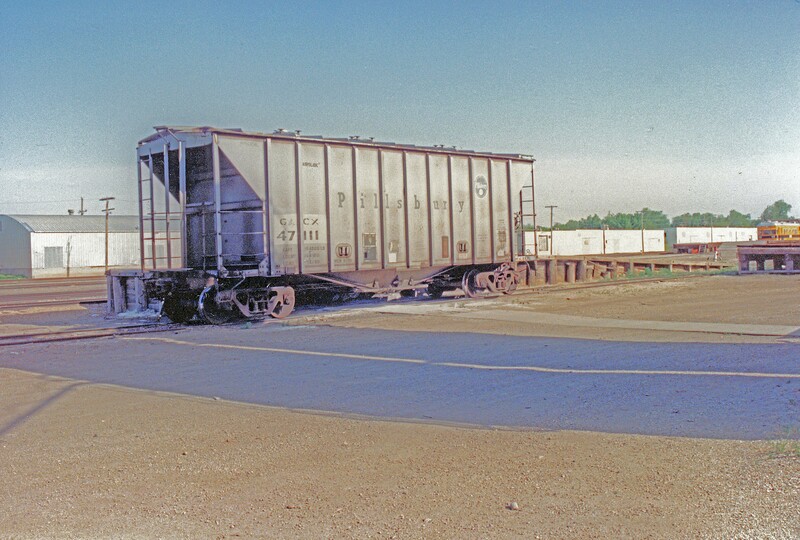 The flat car is moved by train to an intermodal terminal in Los Angeles or Lathrop. 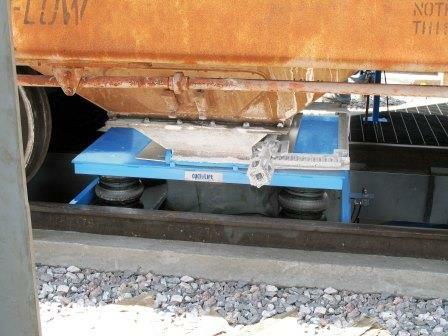 The container is removed from the flat car and placed on an over-the-road truck chassis. 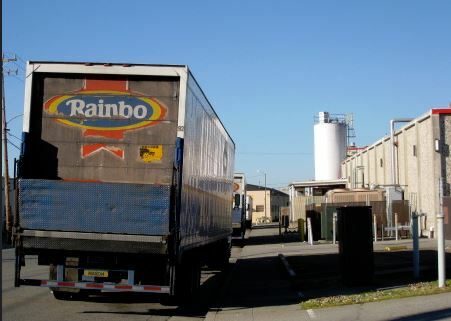 The container is driven by truck to vendors in the Los Angeles or Lathrop areas. Pretty neat that some trees may still be moving by rail. In closing, here’s a few old school pictures of Christmas trees by rail courtesy of the Boston Public Library, Leslie Jones Collection. 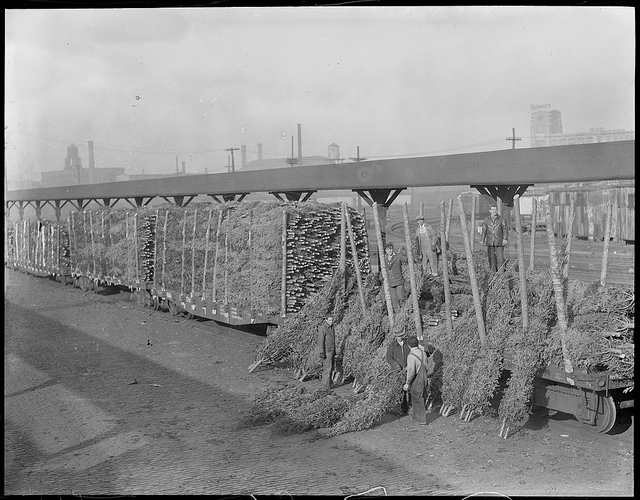 Christmas trees coming into Boston off the Maine Central, courtesy of the Boston Public Library, Leslie Jones Collection. Courtesy of the Boston Public Library, Leslie Jones Collection. 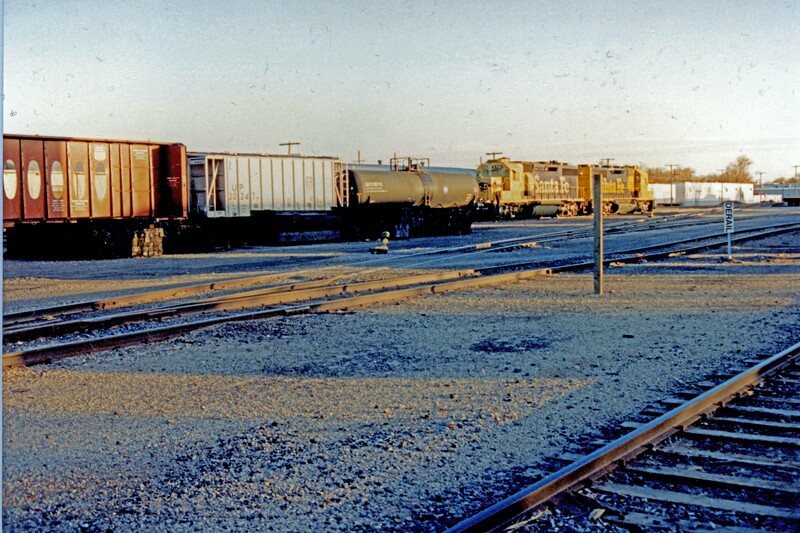 Since this is Rails West, note old Frisco boxcar to the right. Here’s some coming into Boston on flatcars. 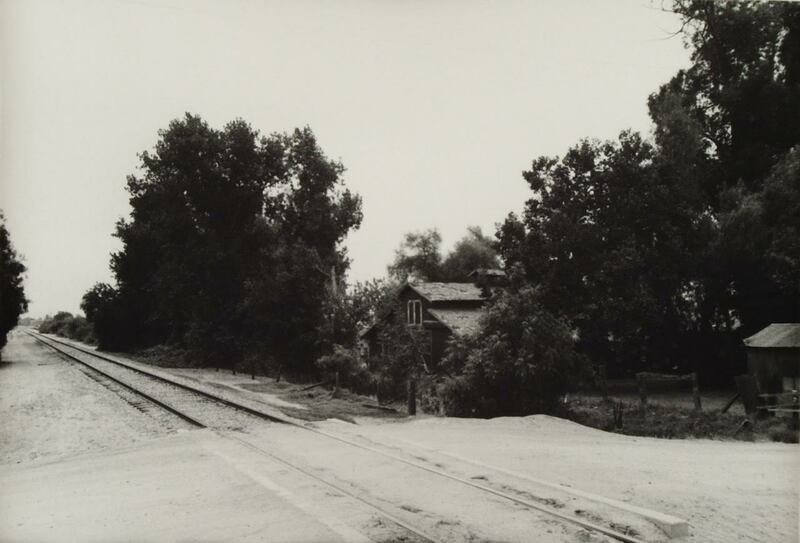 Courtesy of the Boston Public Library, Leslie Jones Collection. 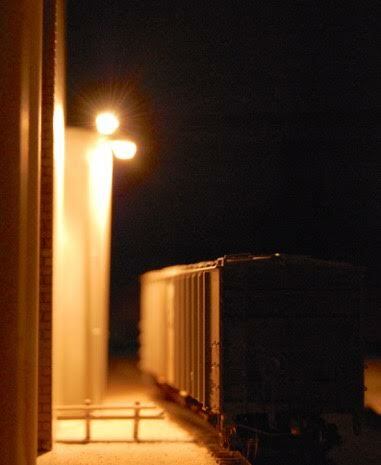 If anyone has photos of trees being shipped by rail (especially if newer than those above), please share. Meanwhile, a very Merry Christmas to all the readers of Rails West! I lived in Roswell, NM, for much of the early 1990s. 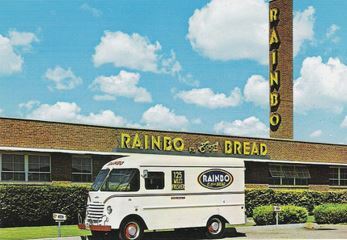 One of the pleasures of early 1990 Roswell was driving by the Rainbo bakery and smelling the fresh bread being baked. 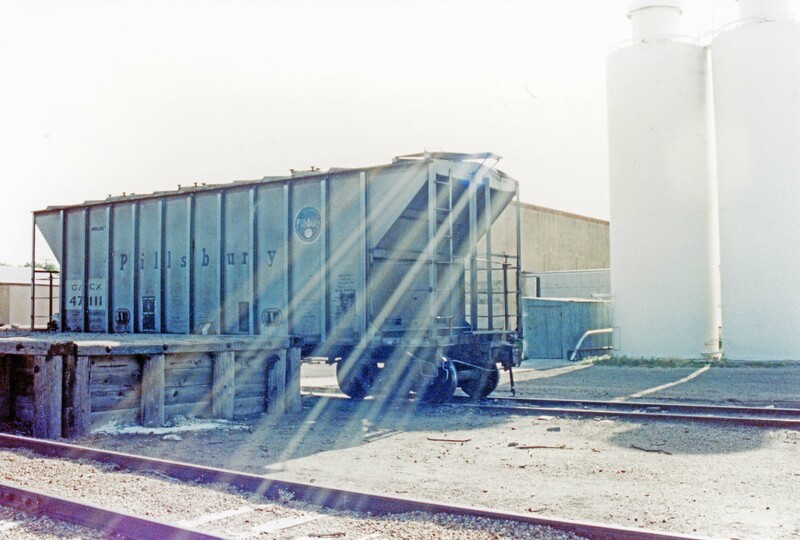 Another treat for me was to check out the spur where the Santa Fe Railway brought in covered hoppers of flour. Site of Bakery in Roswell. 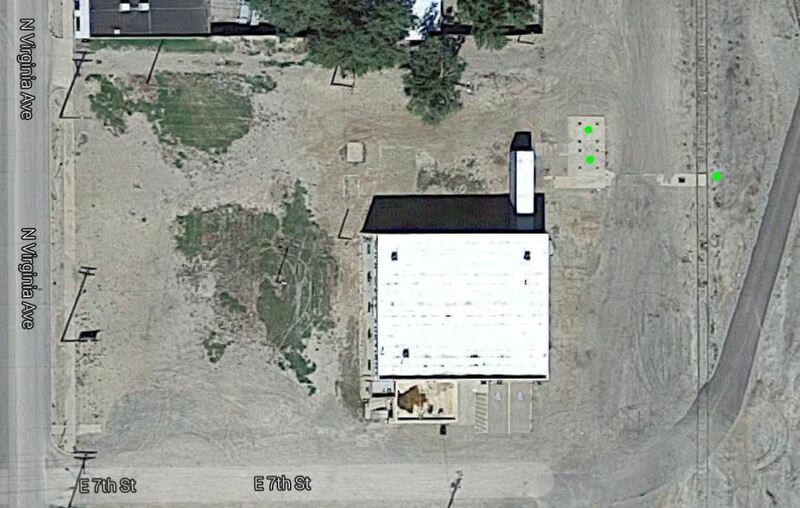 Green dots denote the former unloading area. 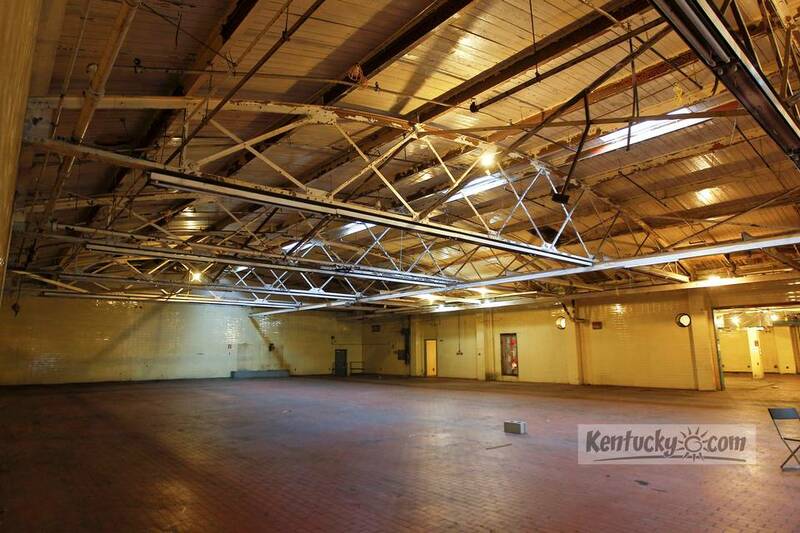 Sadly, it is all gone now with the exception of a few relics. 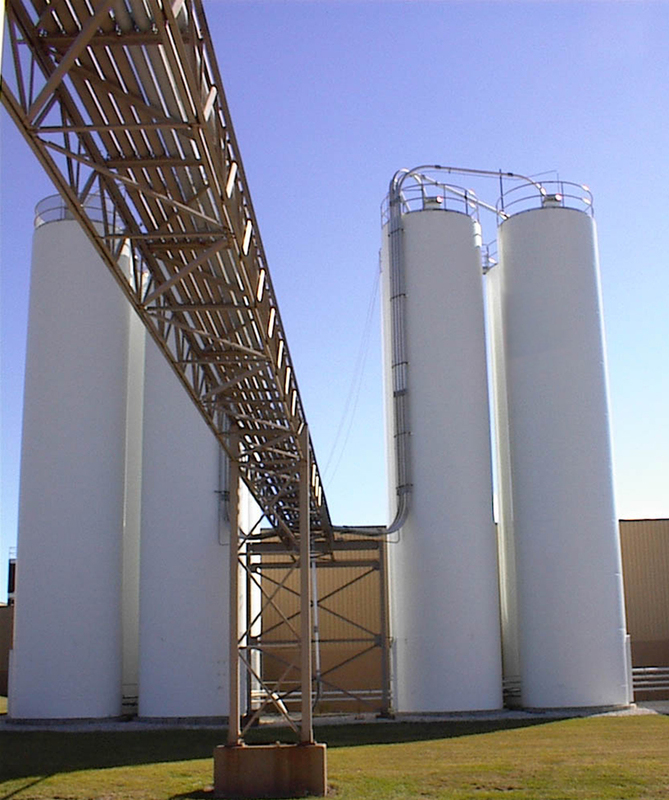 The green dots above show where the cars were spotted for unloading and the base upon which the silos sat that stored the flour. 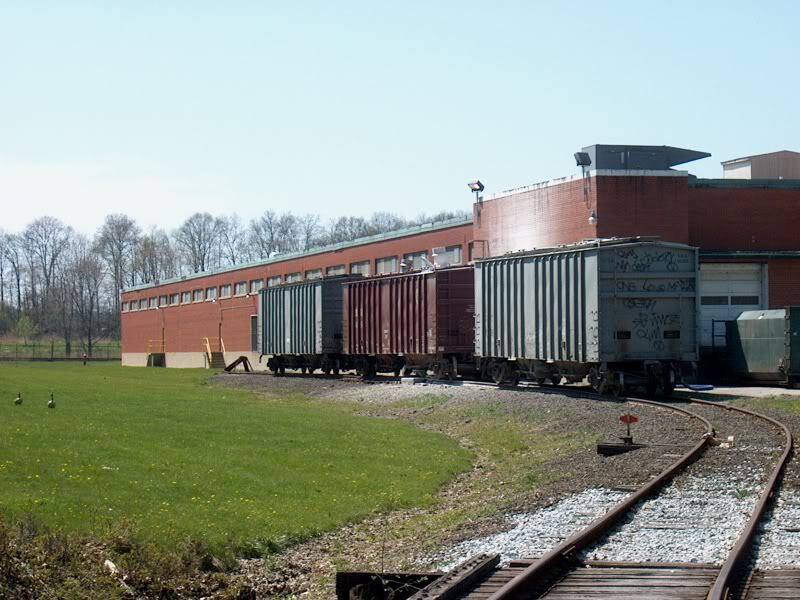 The flour was pneumatically carried from the train car to the silos and from the silos to the bakery. I am not sure if the remaining structure was related to the bakery. 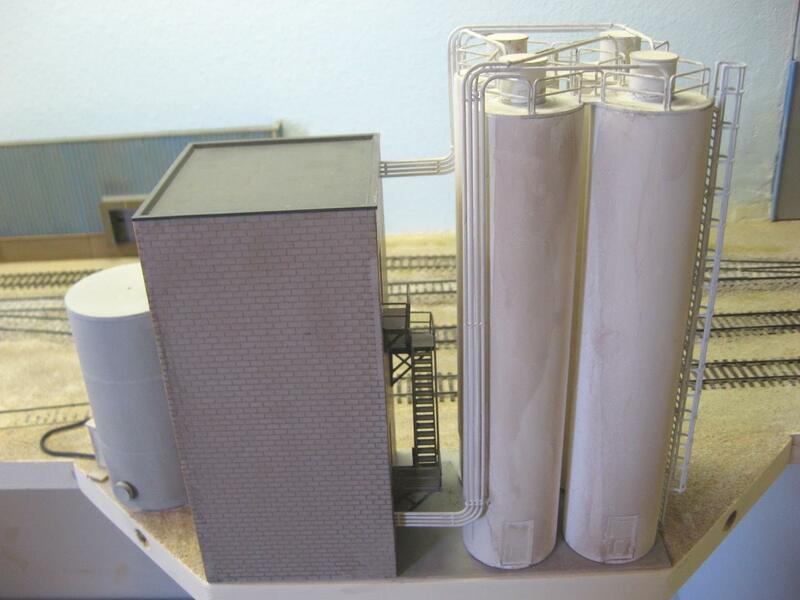 I remember to pneumatic tube that carried the flour to the bakery was pretty long and may have gone to a structure that has now been demolished. 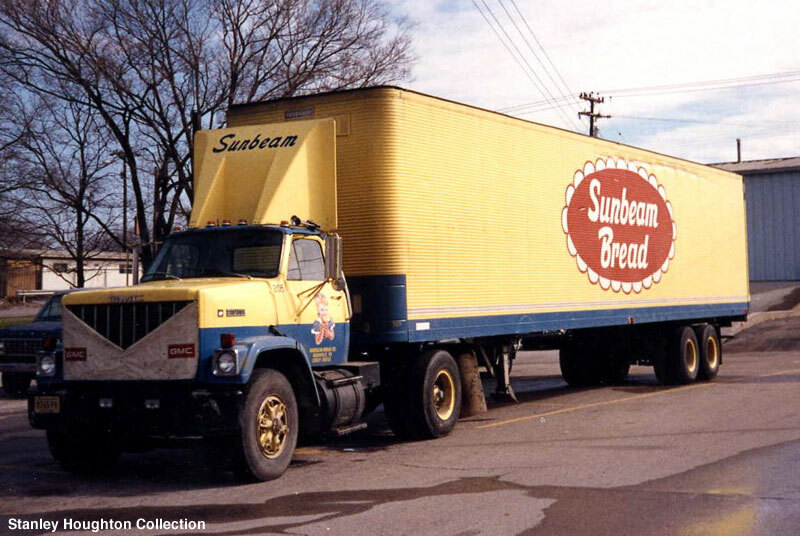 The bakery in Roswell would normally receive 1 to 2 cars once to twice a week. It was a small, but very steady customer. I wish I had taken more photos of the overall operation. As usual, I didn’t think I was capturing the closing days of something that had been going on for many years. Above is an action shot I caught while the ATSF local down from Clovis heading to Carlsbad stopped in Roswell. 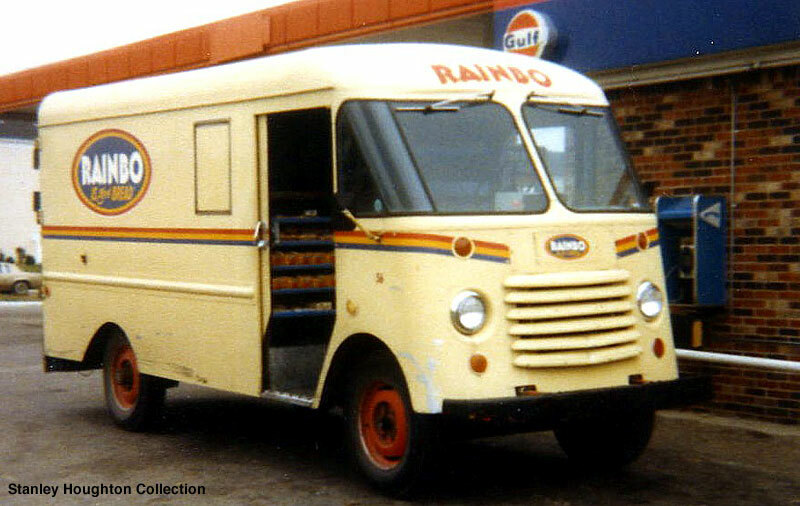 The local generally had to switch the bakery and the Budweiser distributor and often the team track and Miller distributor. 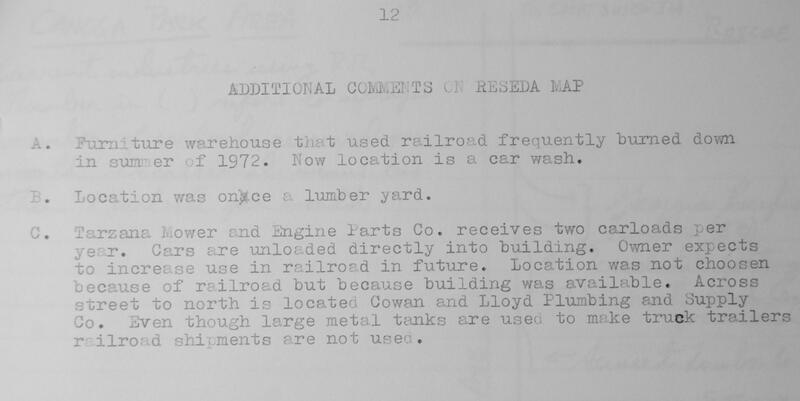 The Coors distributor and lumber yard were regular but less frequent customers. There was a smattering of irregular customers also in the area including a dairy, a Christmas ornament factory and a waste recycling facility. 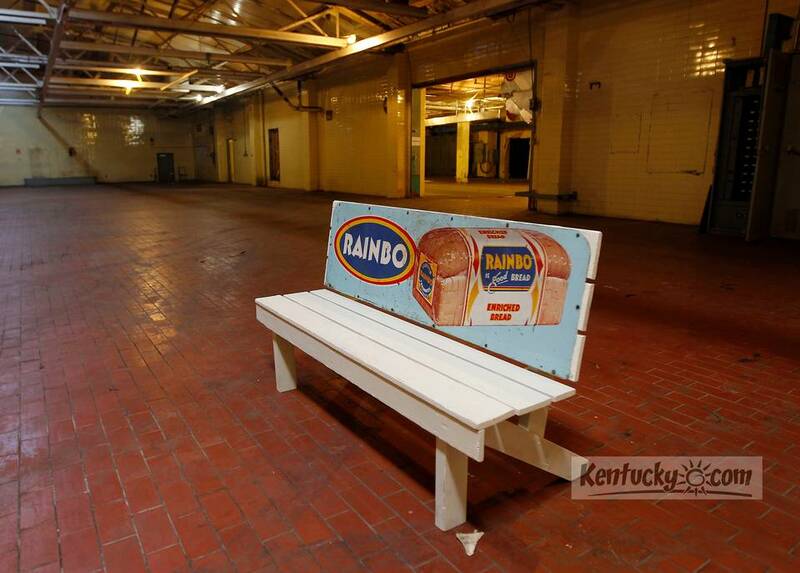 If you model the mid-1990s or earlier, a bakery is worth considering for your layout. They were widespread and regular customers and often received smaller cars. You don’t even have to model the whole operation. 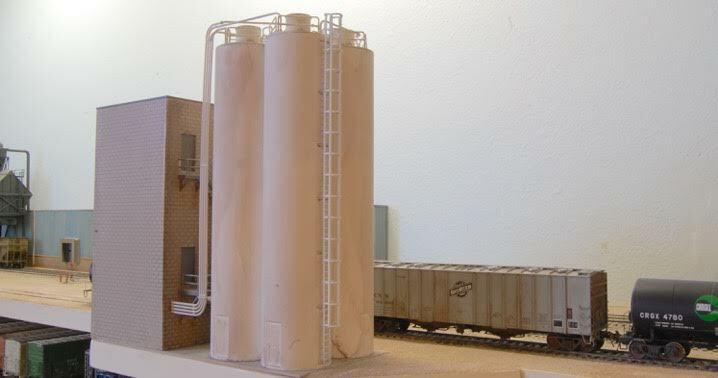 You can just model the silos with the bakery being theoretically just off the layout just as the above photos suggest and as B. Smith did on his LCN RR. 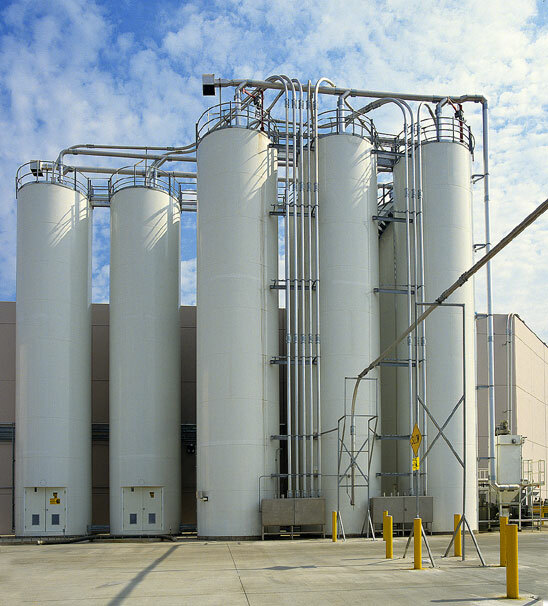 B. Smith only modelled the silos. 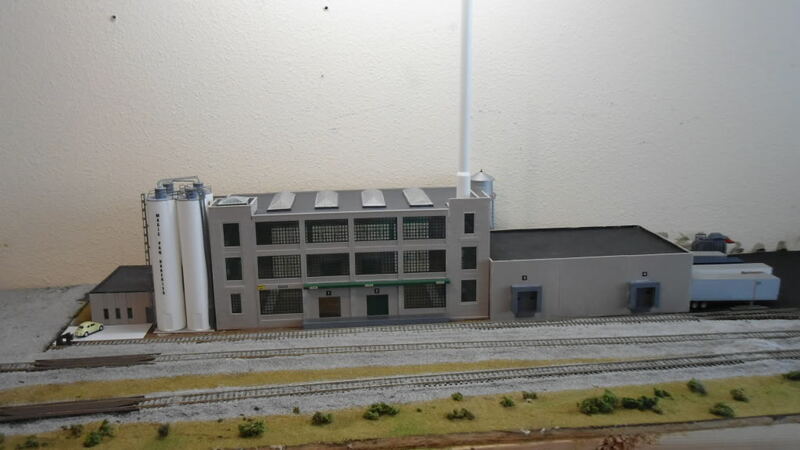 The bakery sits just off the layout. 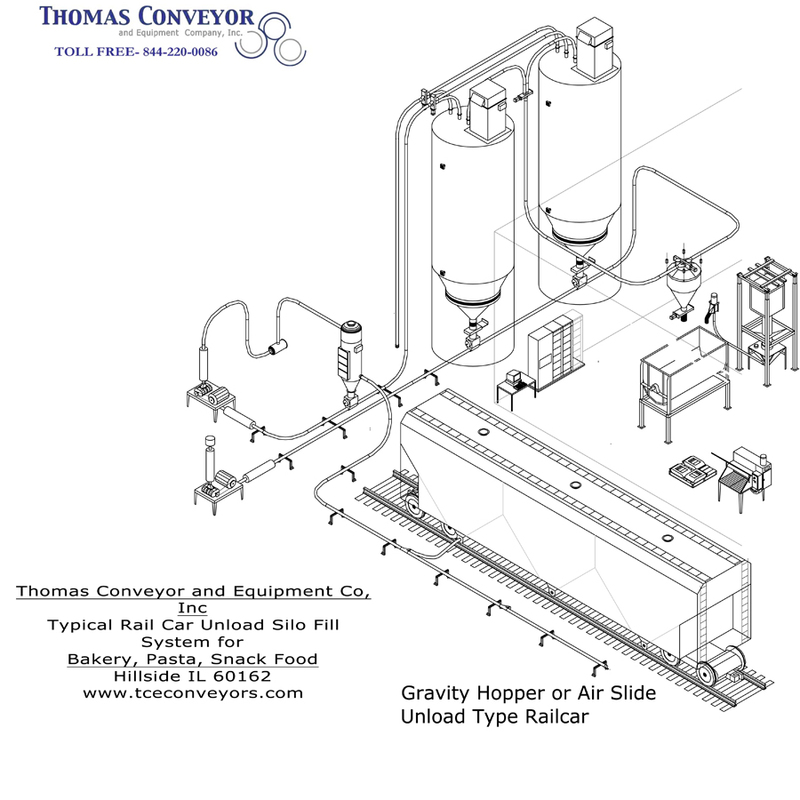 His bakery also receives corn syrup by rail so there is also a tank (on the left) in his unloading area. 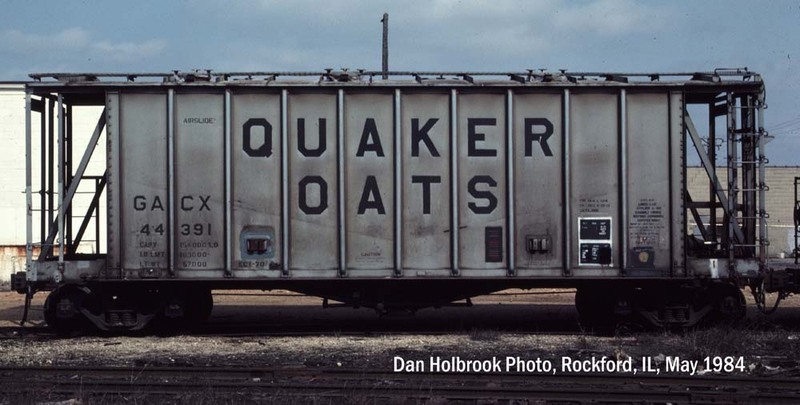 His bakery is usually good for a couple of covered hoppers and an occasional corn syrup tank car. In part II of this series, I will discuss a little more about modelling bakery operations and discuss rolling stock options. The San Fernando Valley Branch as it travels up the center of Chandler Blvd. in North Hollywood. Looking east from near Laurel Canyon Blvd. 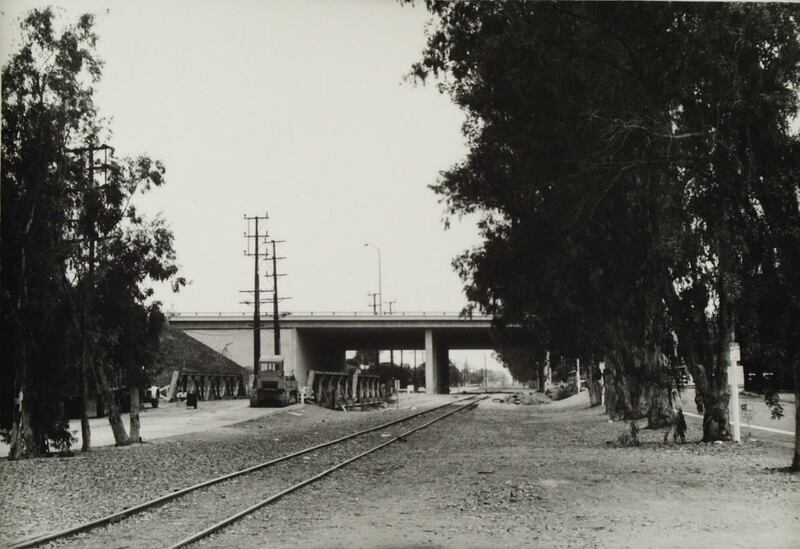 San Fernando Valley Branch passing under the Hollywood Freeway. Facing west. Map of North Hollywood area. North Hollywood map area, looking west with Lankershim Blvd in the immediate foreground. 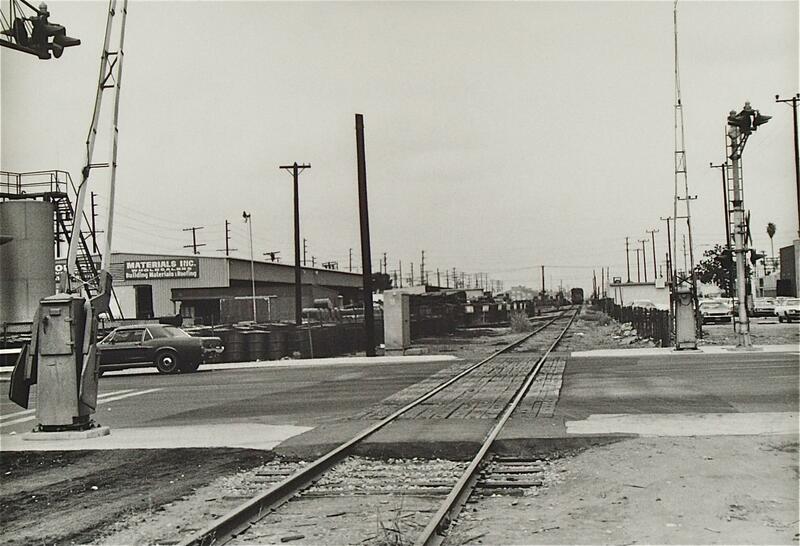 Hendricks Builders Supply (G. on the map above) was once the North Hollywood Pacific Electric station. The North Hollywood team track area is just the other side of Lankershim on the right in the open area. Pameco-Aire-Refrigeration is the brick building (darker color) in the center of the picture in the distance. 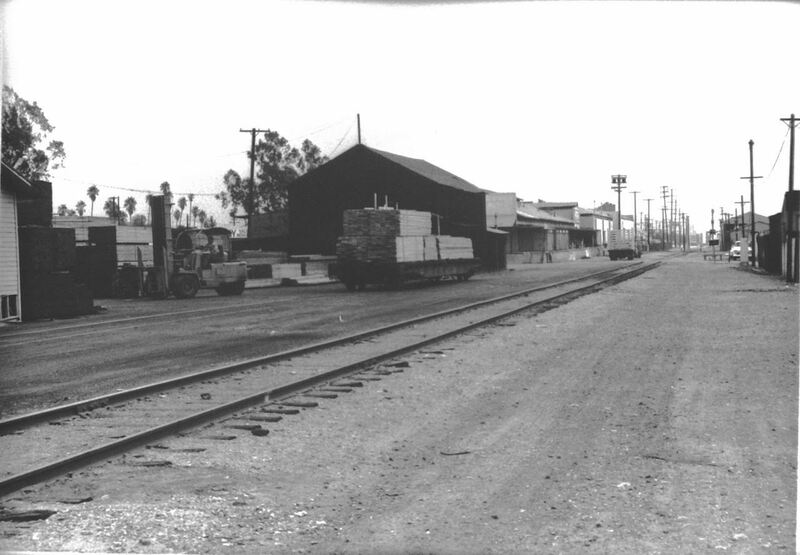 Car of lumber being unloaded at Blanchard Lumber in North Hollywood, May 20, 1972. 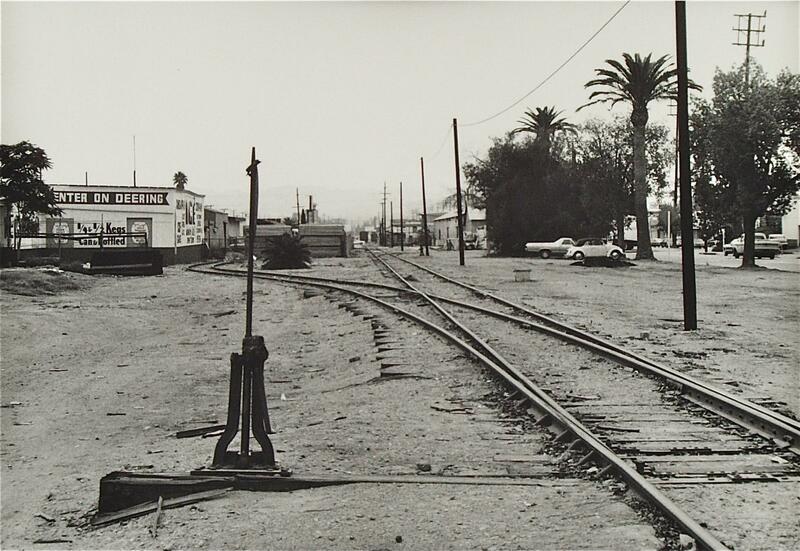 Looking east toward Vineland Ave. Pacific Electric cars once ran on a track that was where the photographer is standing. OK, let’s head west on the branch over to Van Nuys in 1972. Looking west across Hazeltine Ave. in the Van Nuys map area as the San Fernando Valley local freight train disappears down the tracks. Modern Materials Inc. is visible to the left of the tracks. Between Modern Material and Hazeltine is the Shell Oil Co.distributor whose spur track is no longer used and blocked with 55 gal oil drums. 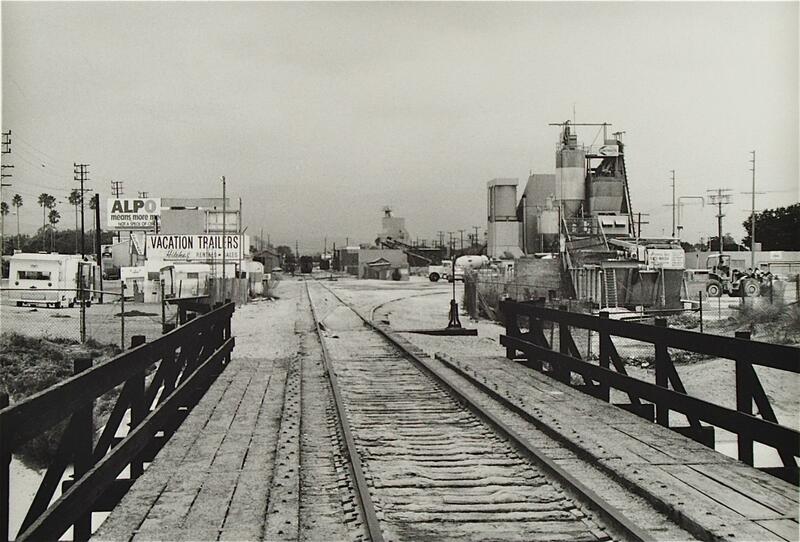 The Shell Oil Distributor located here about 1926 and received rail shipments until truck shipments took over. 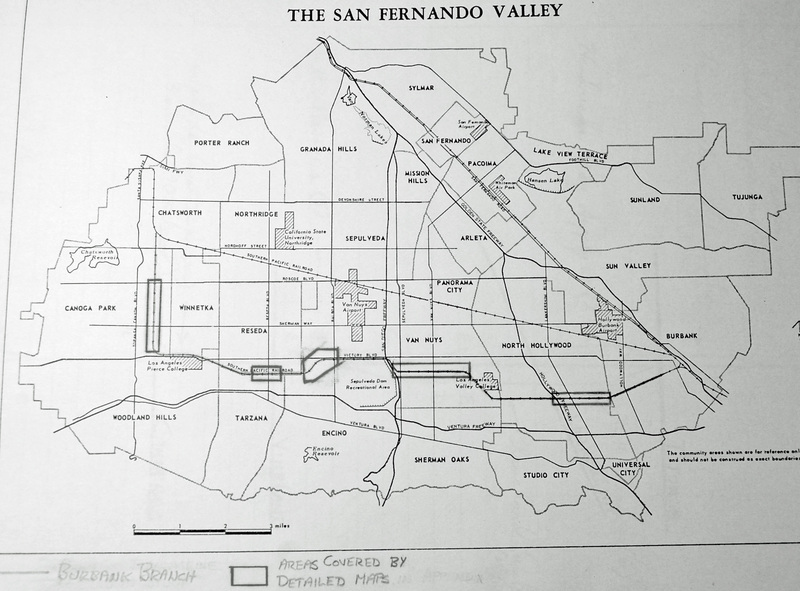 B. Smith’s map of Van Nuys, 1972. 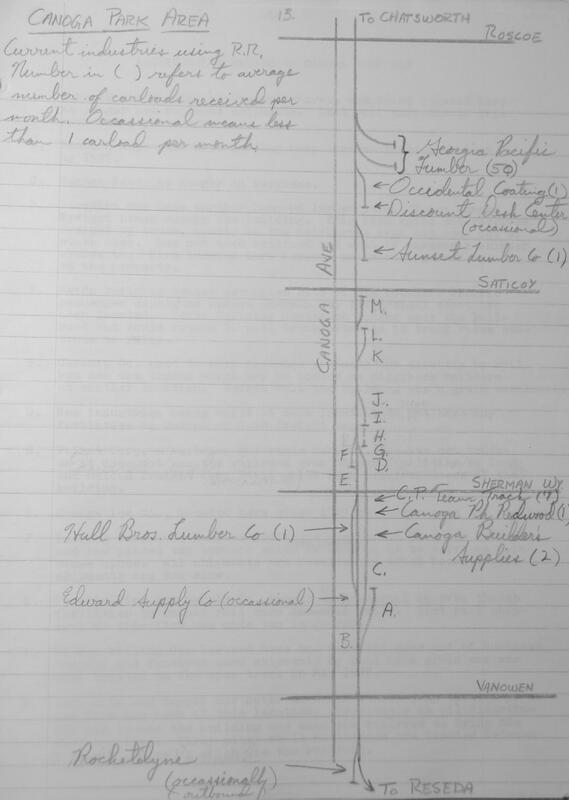 B. Smith’s field notes on Van Nuys, 1972. UP box car spotted at the Glesby Building Materials Co. spur in the Van Nuys map area. 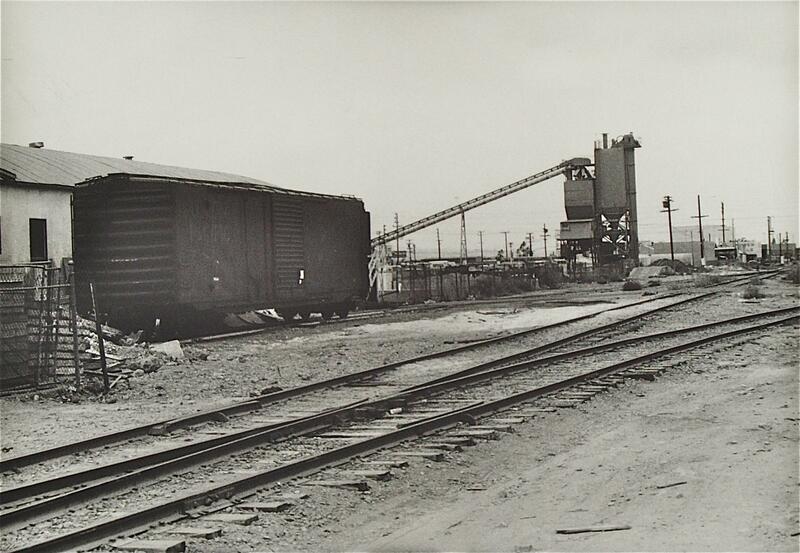 The ready-mix cement company does not receive rail shipments nor was there ever a spur track located to it. 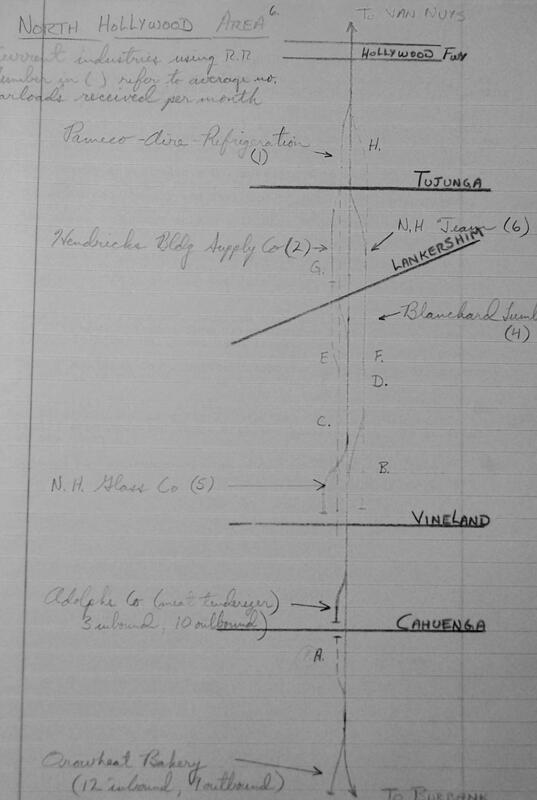 The spur track leading off to the right goes to American Forest Products, a major receiver of rail shipments with about 25 cars per month. Heading further west, we go near the Sepulveda Dam Recreational Area. San Fernando Valley Branch as it skirts the Sepulveda Dam Recreational Area near the intersection of Victory Blvd. and Havenhurst St.
Now easing a little further west, let’s poke around the Encino area just a bit before heading over to Reseda. B. Smith’s 1972 map of Encino. Now let’s end this tour at the most western part of the branch around the Canoga Park area. 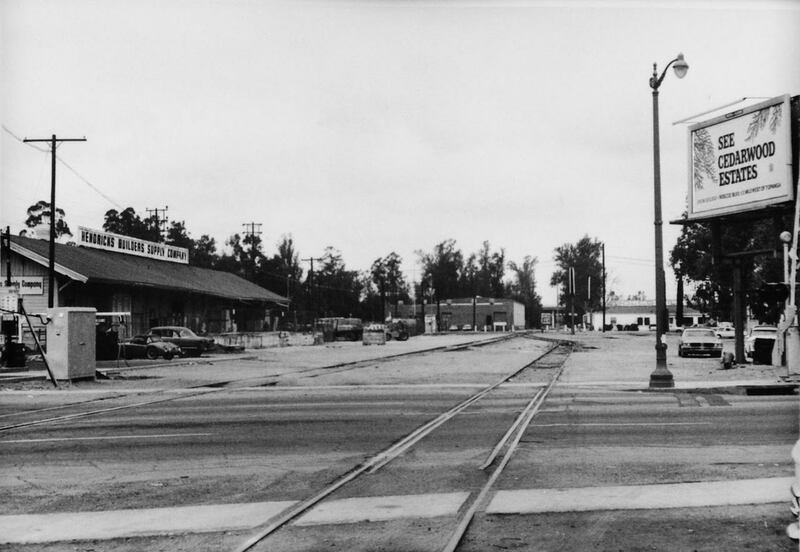 Facing south in the Canoga Park map area with Canoga Ice Co. on the left, here since 1927. Today this is a bike path and a dedicated bus route! Pyramid Pipe and Supply, which would have been behind the photographer is still in business, but everything in this photo is gone! 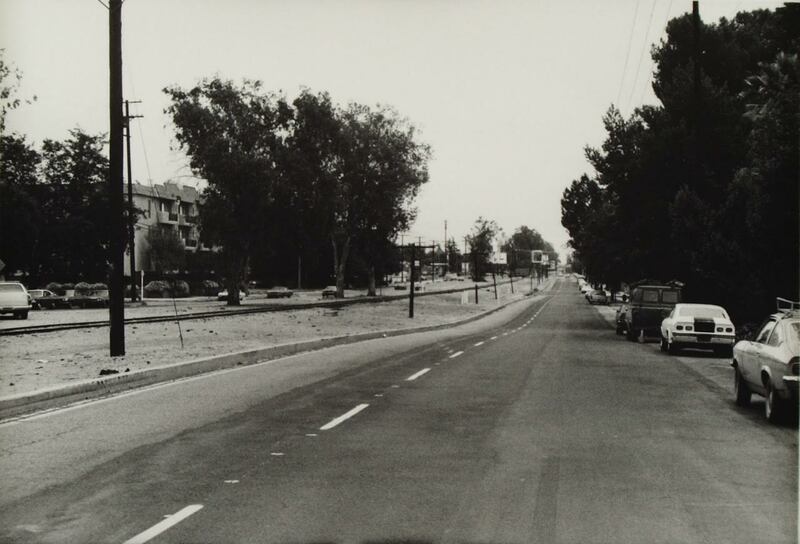 Looking north on the Canoga Park map area from near Vanowen Blvd. Conrock and Skyline ready-mix concrete companies are on the right but it’s been 3 years since a load of cement or gravel has been spotted on their spur track. 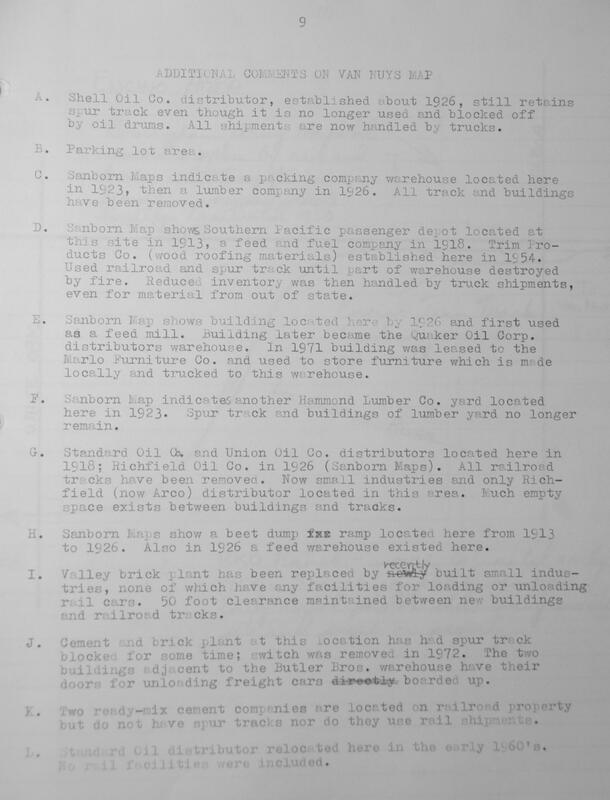 As we wrap up our visit of SP operations in the San Fernando Valley in 1972, let me leave you with a couple of overview documents. The best customers of the branch. 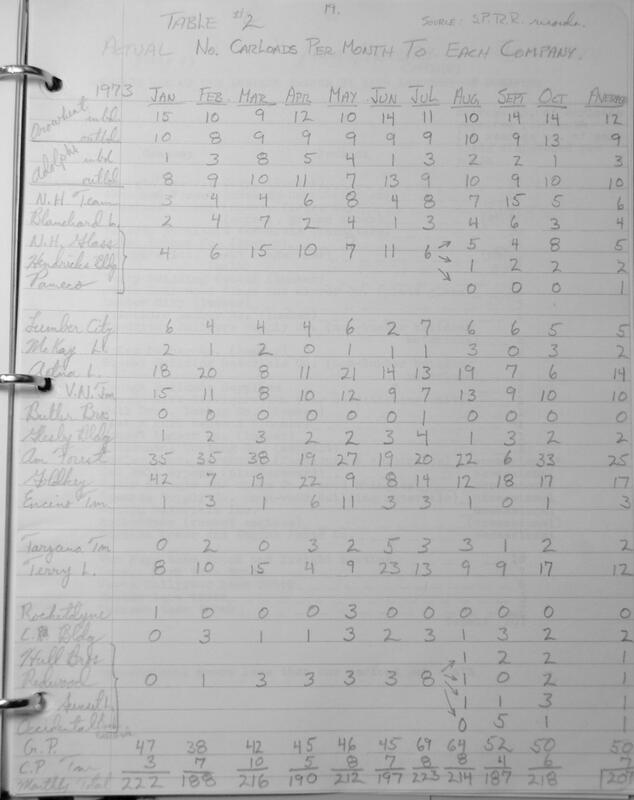 Here’s the stats on the number of carloads per customer in 1972. 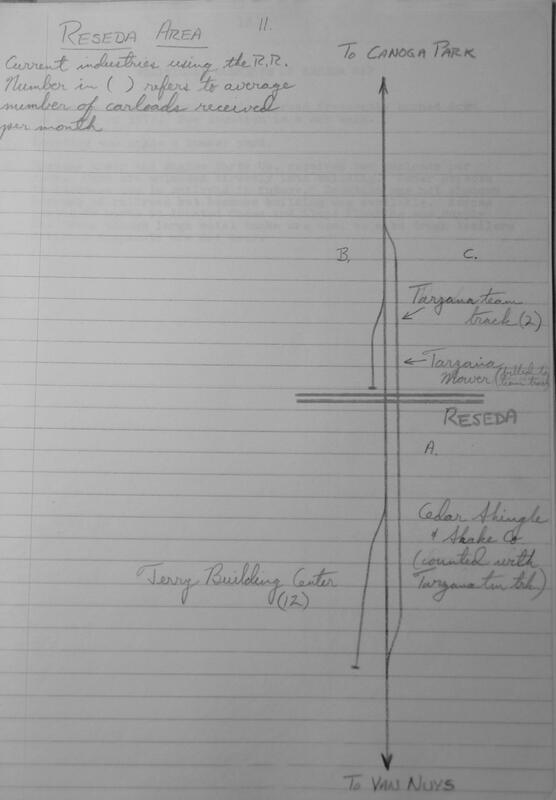 Again, this is an amazing gold mine for anyone interested in modelling this branch in the early 1970s. The operations were very diverse and interesting. It would make a fascinating layout. 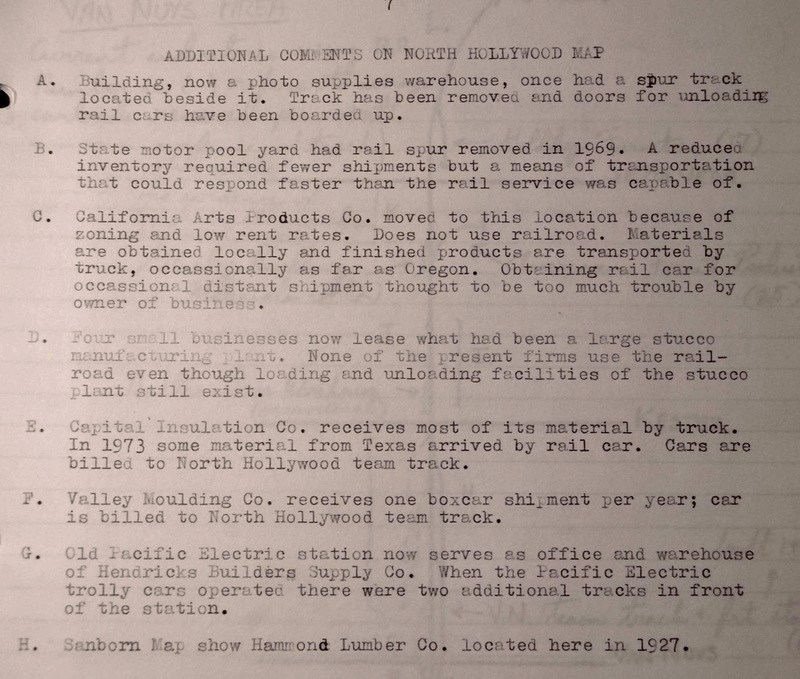 Next post will feature a detailed description of switching around Tarzana on July 12, 1972. 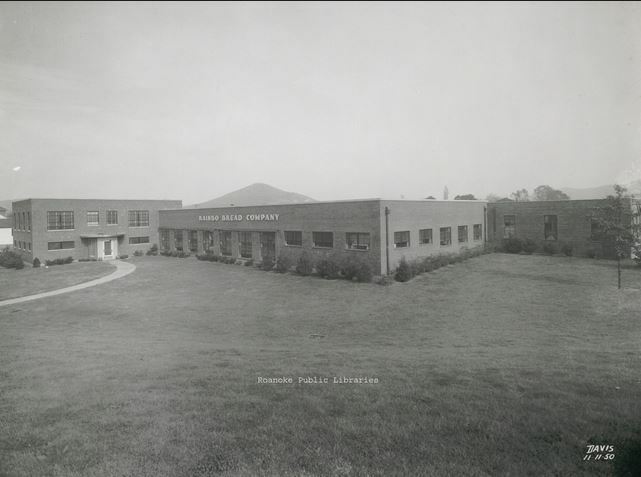 The Falstaff Brewing Corporation was a major American brand headquartered in Saint Louis. 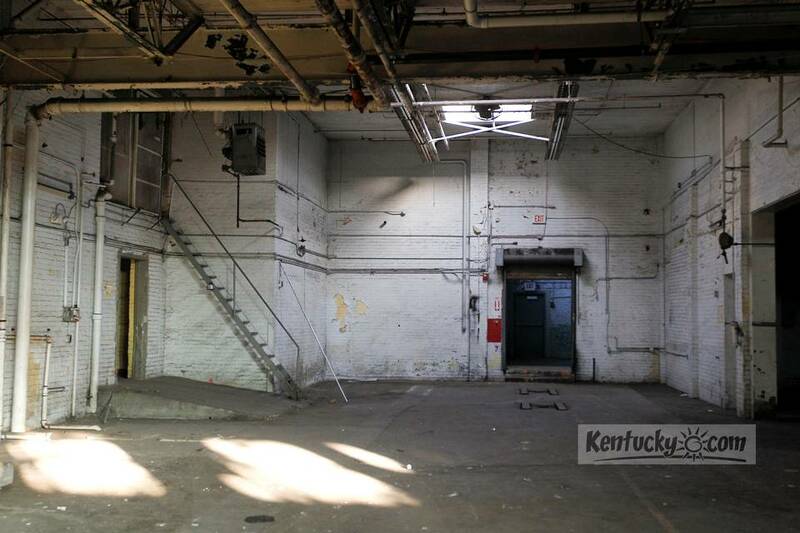 It started out with the Lemp Brewery in the 1830s. One account has it that the company was renamed after a character in Shakespeare named John Falstaff around 1903. 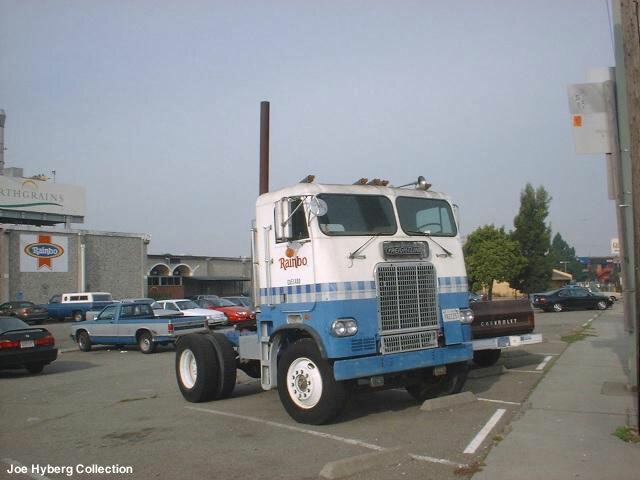 It was at one time a really big brand peaking in production in the mid-1960s. 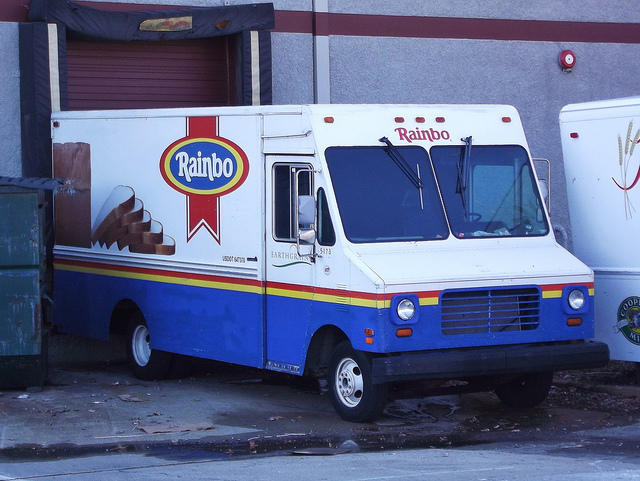 Sadly, the brand disappeared off the store shelves in 2005, but not in the imagination on many former customers. Word has it that production may soon resume as a Pabst brand, who incidentally brews one of my favorite IPA-Ballantine IPA. Click here for my post on Ballantine from earlier this year. If Pabst does bring the brand back, I hope they put some thought into the recipe the way they did with Ballantine IPA. I think they hit a home run with it. I remember drinking Falstaff, a little under aged, with my dad in the late 1970s sitting around the barbeque pit. I liked it! It was a little distinctive. As a prelude to its possible reintroduction, I wanted to share the great artwork Falstaff used to promote its fine beer. Discretely flashing a little leg, always good for sales. Ah, romance facilitated by an ice cold Falstaff or two! What’s not to love? I strongly support equal rights for women, but I love seeing pictures of these men being comfortable in their skin–just enjoying life. I love these ads! Freshly caught fish on the grill. Not sure if I can think of a better smell after a day on the river. Now being practically, a life-long White Sox fan, here’s another reason for me to miss Falstaff, it was the beer partner to the White Sox in one of the most colorful era of the Sox, the 1970s. I love this write up from the website whitesoxinteractive.com. Today’s Chicago south side bears little resemblance to the neighborhood surrounding Old Comiskey Park in the 1970’s. Long before anyone had heard of “supply-side economics”, “downsizing”, or “the Asian economic tigers”, Chicago’s south side was a vibrant manufacturing area. 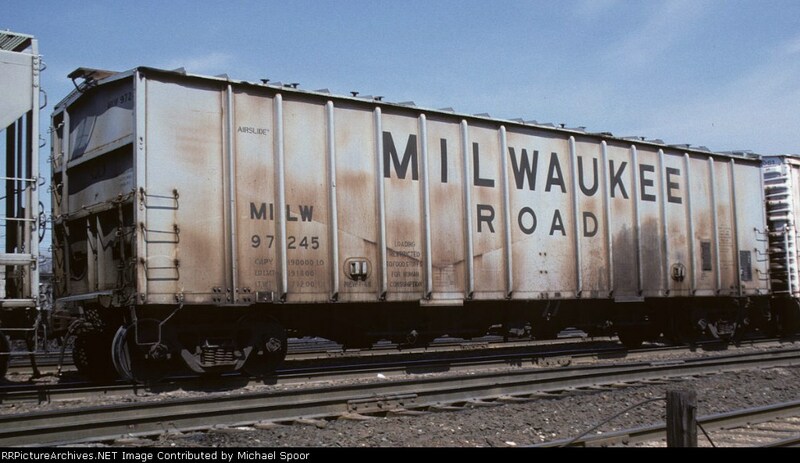 Large mills like Wisconsin Steel belched smoke and paychecks to legions of south siders, game-fully employed in solid blue-collar jobs. 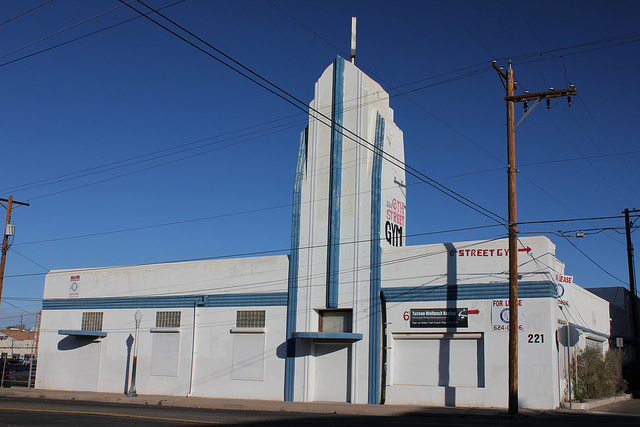 When their shift at the plant ended, they went to the corner tap and then to 35th and Shields to continue their imbibing. The drink of choice was not white zinfandel. Every summer evening on the south side, Comiskey Park was filled with the cigarette smoke and serious drinking. When they arrived at Comiskey they found a new crown prince to the festivities, the newly-hired tv and radio announcer, Harry Caray. Gone was the understatement of Sox legend Bob Elson. Harry was brash, opinionated, and eager to draw attention to himself. Most of all, Harry was one of the guys. He did broadcasts from Comiskey’s center field bleachers. He watched the blondes in the stands as much as the rest of us. He of course had a microphone in his hand to let the whole world know what he was thinking. There was his giant fishing net inside the booth for catching foul balls. Most famously, there was his seventh inning rendition of “Take Me Out to the Ballgame.” Anyone with cable tv is familiar with a similar routine he did through the 80’s and 90’s at Wrigley Field. Many fans from coast to coast think that is what Harry always did — and of course they’re wrong. In the 70’s at Comiskey, a younger sharper Harry didn’t slur his words, and wasn’t a caricature of himself. With Nancy Faust’s organ accompaniment, Harry led a rousing and drunken chorus of fans in a way Wrigley Field’s kiddies could never duplicate — nor he. At Comiskey Park it sounded for all the world like a bar room anthem. Of course at Comiskey Park, it was a bar room anthem. Harry had spent years in St. Louis shilling the Busch family’s #1 brand, Budweiser. Upon his arrival in Chicago in 1971, Busch’s crosstown rival, Falstaff, was all too eager to make him their spokesman. “The choicest product of the brewer’s art,” was Falstaff’s tag line. Now Harry Caray became the choicest pitch man for the shot and beer crowd who came to Comiskey. That was during the game. Each half-inning’s commercial break, Sox fans were deluged in a sea of Falstaff advertisements, too. “Falstaff — because we’re all in this together.” Other beer brands moved into Comiskey soon enough and Falstaff faded from Sox fans’ minds along with its national stature. 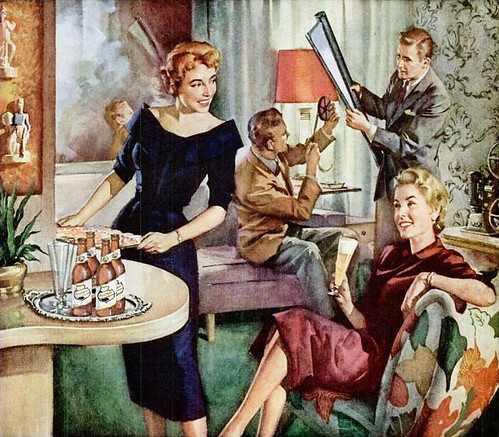 Schlitz, Stroh’s, and yes — Budweiser, soon became the park’s official brands. None of them ever matched the advertising blitz Harry Caray and Falstaff achieved. What a great era…Bill Veeck and Harry Caray! And the uniforms!